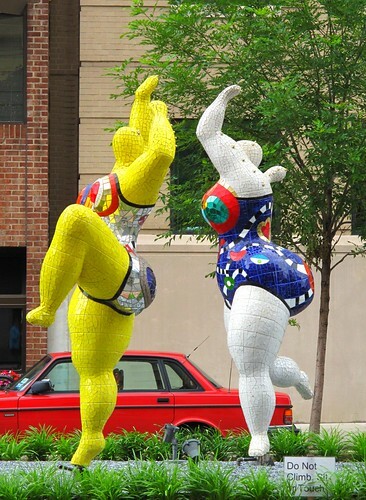 My friend Fran invited me to see the Niki de Saint Phalle sculptures outside the Museum of Women in the Arts and I accepted immediately. I love her stuff. We first saw her works outside the Centre Georges Pompidou in Paris around 1990. I’d never seen anything like them before. 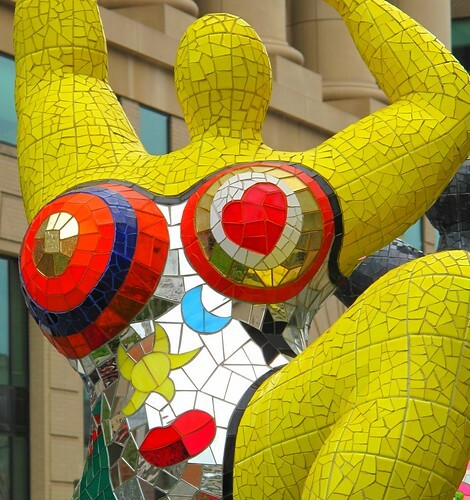 Gorgeous glass mosaics applied to giant whimsical sculptures of things like red lips or oversized angels and fish. This one is called “Arbre de Serpents” or Serpent Tree. 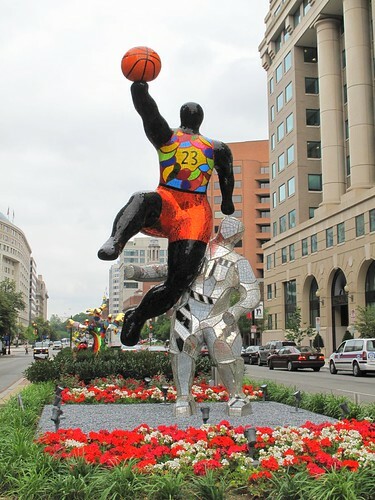 I like the juxtaposition of the sculpture with the bored-looking drivers on the street. Just another day on New York Avenue in D.C. If you want to see more of Saint Phalle’s creations, there’s the sculpture garden in Escondido, CA, that houses nine of her sculptures plus a serpent “wall.” It’s supposedly the only sculpture garden in the U.S. Finally, we had a decent lunch inside the museum and this was the view from where I sat. Oh, they knew how to embellish back in the old days, didn’t they? 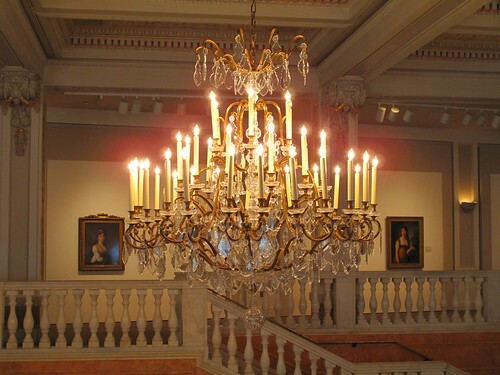 This is one of many chandeliers. Oh, to have the space for them. There were a couple Frida Kahlos in the museum, but othewise the collections weren’t that great. If you want to see fantastic art in Wash D.C., run to the National Gallery, one of the best art museums in the world. And it’s free. I must spend a day there soon. The Italians, the Dutch and the Impressionists will make you swoon. 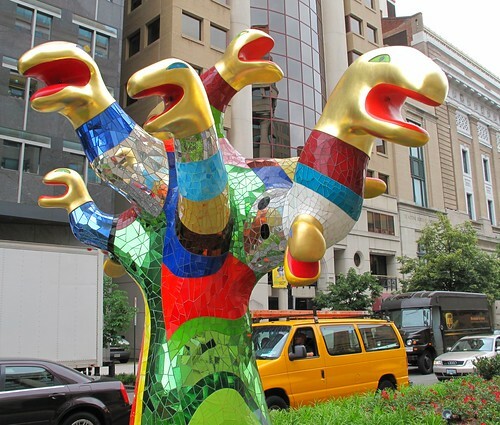 This entry was posted in art and tagged Centre Georges Pompidou, Museum of Women in the Arts, New York Ave., Niki de Saint Phalle, sculpture, Wash DC. Bookmark the permalink.